Colour: A pale golden natural colour. The whisky has a sticky oily texture. Nose: Lots of tropical fruits and spices jump out of the glass. Allspice is the first thing that enters my mind. Next, some canned fruits. Think pineapple, peach and mango. A bit of spicy and dry notes from vanilla and pencil shavings. A heap of pilsner malt and crispy rye bread. Coconut and dried banana. Coconut water. With water: No remarkable evolution. A touch of cinnamon. Taste: Creamy mouthfeel with a peppery twist. Pineapple and peach. Szechuan peppercorns. A slightly metallic touch. Kiwi and a sour note from gooseberry. Lemon curd. For some reason, I'm thinking of bock beers. 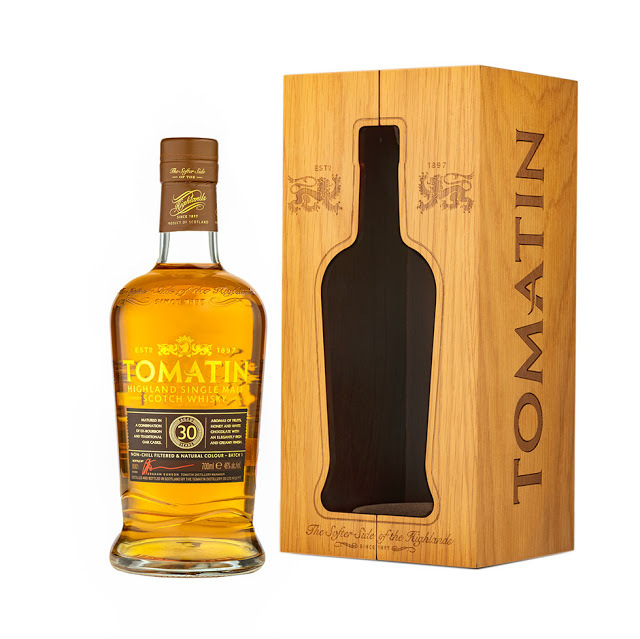 This is a perfect autumn dram. With water: Lemon rind ready to become limoncello. A tad drier mouthfeel. Nuts and vanilla pods. Malt and speculoos - a brown spiced biscuit - versus the two C's: cinnamon and clove. And again that Jamaican pepper or allspice note. Finish: Vanilla custard. A creamy finale with an oaky touch. Autumn in a glass. Cinnamon and allspice prepare your palate for the next sip. This is a remarkable dram. The wood did not overpower the whisky. On the contrary, the maltiness is still very present. This is partly due to the maturation I believe. My guess is that the spirit from these refill casks was in need of some first-fill bourbon wood. 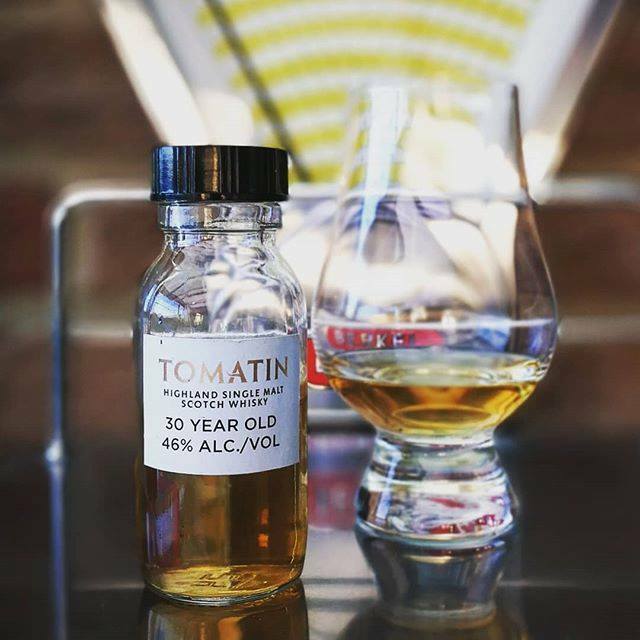 On the other hand, it shows the beauty of the naked Tomatin spirit polished off with those typical American bourbon notes.